In a tournament first, Switzerland fought back from a goal down to beat Serbia and boost their hopes of a World Cup last 16 berth. Aleksander Mitrovic headed the White Eagles ahead inside 5 minutes from close range, but a belter from Granit Xhaka and a late strike from Xherdan Shaqiri turned the tables around. Serbia were well off the pace in the second half and the defeat has now thrown a spanner in their works. They'll now have to take points off Brazil in the final game, which is an extremely tall order, and also hope Costa Rica do them a favour. Here's what Serbia did wrong in the defeat. With a goal inside 5 minutes of the game's commencement, Serbia made an ideal start. It was the perfect tonic needed to boost hopes of progressing after winning their first game. The White Eagles looked to be in control for sometime thereafter, and successfully kept the Swiss at arm’s length at half-time. But the latter turned the screw after the break. 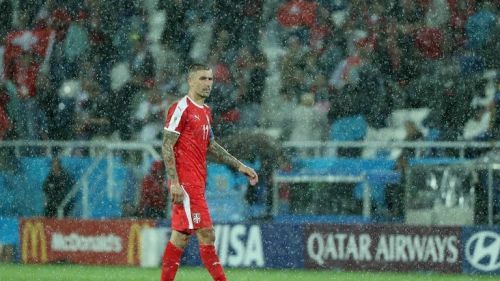 Switzerland were the brighter of the two sides and it looked only a matter of time before they clawed their way back. And so it happened, just 8 minutes after the restart. Xhaka’s volley was a piece of pure quality, but Serbia appeared frazzled after that. The defense looked shaky while the pressing got too desperate to find something. Mitrovic was the only one to have truly tested the Swiss in that period, and should’ve won a penalty when he was brought down inside the area during a corner kick. Serbia’s momentum petered out by the end of the match and a lapse in concentration at the back allowed Shaqiri to run clear and seal the winner.